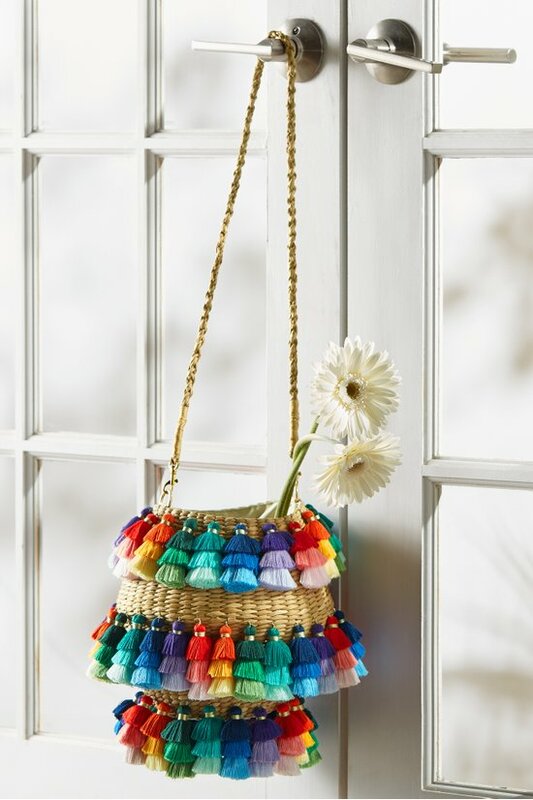 Handmade by artisans in the Philippines, this circular straw basket has three rows of vibrant tassels (67 total!) that dance with energy every time it moves. Carry it to market with its one long handle, capped in gold hardware or use it as an exotic décor accent. Each silky tassel is 3" long and layered with rainbow hues.